Looking "where to sell my Chevrolet Caprice?" Ask the Chicago Car Club! Are you wondering "where to sell my Chevrolet Caprice ?" The Chicago Car Club is interested in classic cars of all makes and models, especially a Chevrolet Caprice. We make the process of selling your Chevrolet Caprice quick and painless. In just a matter of hours we will have your classic valued and, if you do so choose, turned into money in your pocket. All it takes is a phone call or electronic inquiry to get the ball rolling. 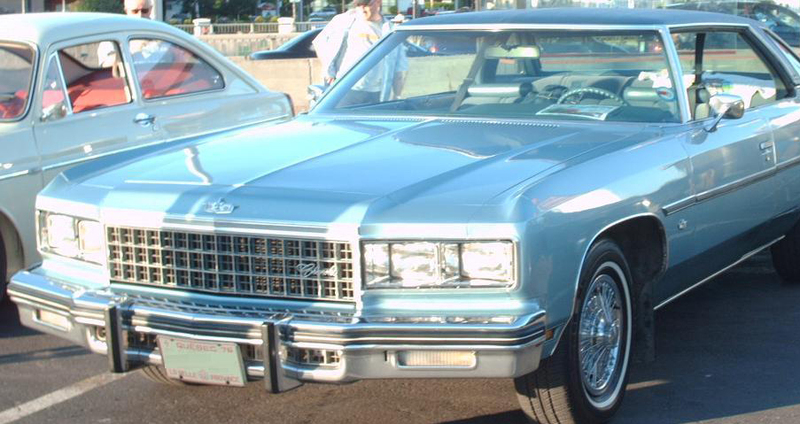 The Chevrolet Caprice was a full-sized car model, built by Chevrolet between the years of 1965 and 1996. The Caprice belonged the the “E (executive cars)” market segment representing the full-size / executive car class. The early cars are now considered classics. They were offered in body styles of 2/4-door sedan, hardtop sedan, hardtop coupe, convertible, and station wagon. These cars were supplied with one of several engines ranging from 3768 – 7443 cc (230 – 454.2 cui) in displacement. They delivered 104.5 – 317 kW (142 – 431 PS, 140 – 425 hp) of power. A particularly desirable model is the 1970 Chevrolet Caprice Custom Coupe 350 V-8 Turbo-Fire 250-hp. It came as a 2-door coupe body type that utilized a front engined and rear-wheel drive with a manual 3-speed manual transmission. It had a petrol (gasoline) engine with displacement of 5733 cm3 / 349.8 cubic inches. The advertised power was 186.5 kW / 250 hp / 254 PS (SAE gross) and it produced torque of 468 Nm / 345 lb-ft. Top speed was 185 km/h (115 mph) and it could go from 0-60 mph in just 9.5 seconds or 0-100 km/h in only 10 seconds. The quarter mile drag time (402 m) was 17.3 seconds. The big block engine of the Caprice could also push a lot of weight. The 1970 Chevrolet Kingswood Estate Wagon 350 V-8 Turbo-Fire 250-hp was a sub-model that made for a perfect vehicle for a large family. This giant station wagon could transport a family with a lot of kids or a small sports team. It was a 5-door wagon body type with RWD (rear-wheel drive) and a manual 3-speed transmission. It had a petrol (gasoline) engine with displacement of 5733 cm3 / 349.8 cui and advertised power of 186.5 kW / 250 hp / 254 PS. It had a top speed of 182 km/h (113 mph), which was plenty fast to drive at highway speeds. The 0-60 mph time was just 10.1 seconds and the 0-100 km/h was 10.7 seconds. Which was amazing, considering the size of the car. Other big block engines were available up to a 454 cu in (7.4 L) Big-Block V8. Some special editions of the Caprice were made for law enforcement, making them one of the most common US police cars.